Intelsat S.A. announced in September 2012, that it has ordered construction of the Intelsat 29e satellite (IS-29e). IS-29e was ordered in 2009 as an then unassigned satellite in a four satellite package. IS-29e will have a high throughput C- and Ku-band payload for Intelsat's Epic system. The satellite will provide between 25 and 30 gigabits per second of bandwidth for fixed and mobile customers in North and South America and over the North Atlantic maritime and aeronautical routes. The payload is powered by two solar wings, each with four panels of ultra triple-junction gallium arsenide solar cells. Intelsat 29e was launched as a single passenger on a dedicated Ariane-5ECA rocket in 2016, as apparently no suitable co-passenger could be found. On 7 April 2019, the satellite suffered a propulsion system damage, causing a leak of its propellant on board the satellite resulting in a service disruption to customers. Two days later, communications with Intelsat 29e were lost, and became intermittent. Intelsat is trying to resolve the problem. Ground based telescopes have observed a debris cloud around the satellite. The satellite drifted off station. 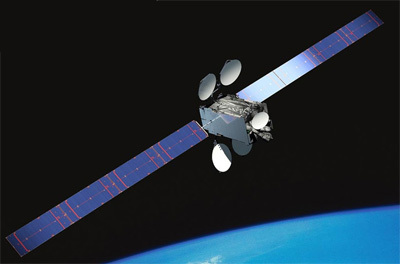 On 18 April 2019, Intelsat announced the total loss of the satellite.